GOG.com is sure trying to earn your everlasting love and gratitude. The site's Fall Games Sale launched this morning, with a bevy of pretty fantastic deals—chief among them free copies of both medieval warfare sim Mount & Blade and the supremely excellent RPG The Witcher 2. There are caveats, of course. You can snag Mount & Blade immediately by going to the main page and looking for the subsection marked "Free Game: A Special Gift for Everyone." That deal's only on offer for the next 48 hours though, so be sure to grab it soon. 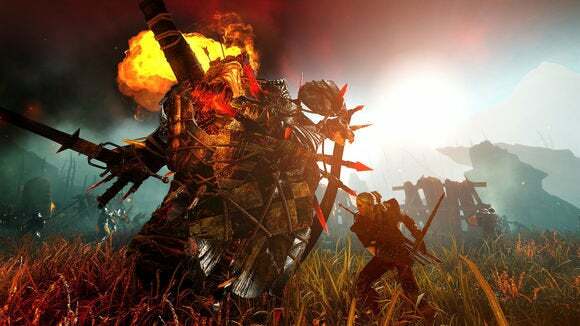 The Witcher 2 is a bit more complicated—you'll have to go to the site every day from now until the sale's end on November 25 and "Collect Stamps." Check in all seven days and at the end you'll receive The Witcher 2 and the film Gamers: Director's Cut for free. The Witcher 2 has been really cheap prior to this, but if you somehow still haven't picked it up and still haven't played it, well, you have approximately three months until The Witcher 3 releases. Get to it. And then there's the usual onslaught of deals, including Daily Deals, Flash Deals (every forty minutes) and standard week-long discounts. Today, for instance, is host to GOG's most popular deal: 80% off the D&D Classics (Baldur's Gate, Planescape Torment, Icewind Dale, et cetera). I think what GOG is saying is "Forget what grandma said—spend all your money all at once." 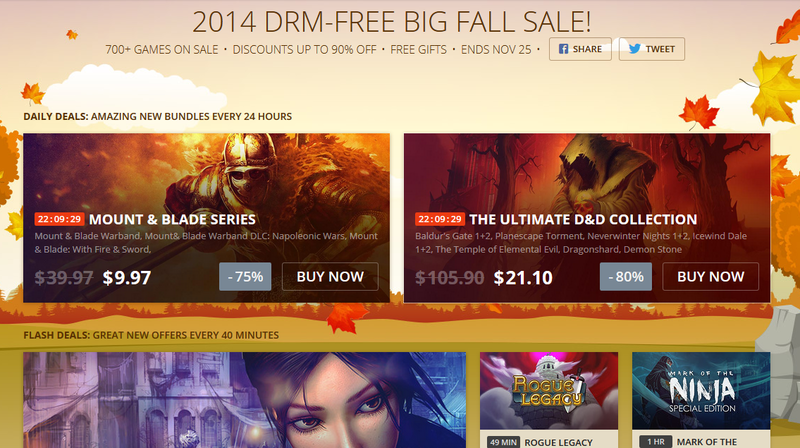 As always, GOG offers DRM-free software, so don't expect Steam keys. Still, this is an impressive way to start what's traditionally a fairly boring sale.